Resulting from ingestion of inappropriately prepared or stored foods containing pathogenic viruses, bacteria, fungi and parasites, foodborne infections have become a significant source of human morbidity and mortality worldwide in recent decades. This may be largely attributable to the remarkable popularity of convenient, ready-to-eat food products, the dramatic expansion of international food trades, and the continuing growth of immuno-suppressed population groups. Although anti-microbial treatments have played a crucial part in the control of foodborne infections in the past, the emergence and spread of anti-microbial resistance render the existing treatments ineffective. Additionally, our limited understanding of the molecular mechanisms of foodborne infections has thwarted our efforts in the development of efficacious vaccines for foodborne pathogens. Given the obvious benefits of laboratory models in foodborne disease research, a great number of experiments have been conducted toward the elucidation of host-pathogen interactions in and pathogenic mechanisms of foodborne infections. 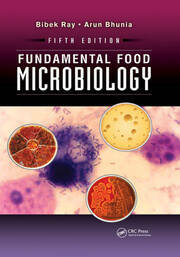 Forming part of the Food Microbiology series, Laboratory Models for Foodborne Infections presents a state-of-the-art review of laboratory models that have proven valuable in deciphering the life cycle, epidemiology, immunobiology, and other key aspects of foodborne pathogens. 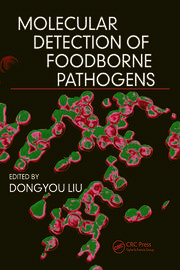 Written by scientists with respective expertise in foodborne pathogen research, each chapter includes a contemporary summary of a particular foodborne viral, bacterial, fungal, or parasitic infection in relation to its life cycle, epidemiology, clinical features, pathogenesis, host-pathogen interactions, and other related aspects. 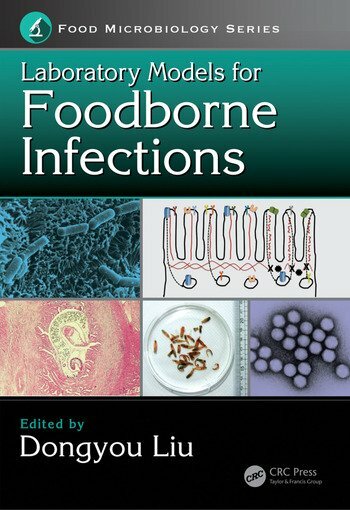 Besides providing a trustworthy source of information for undergraduates and postgraduates in food microbiology, Laboratory Models for Foodborne Infections offers an invaluable guide for scientists and food microbiologists with interest in exploiting laboratory models for detailed study of foodborne infections. Dongyou Liu, Ph.D., undertook veterinary science education at Hunan Agricultural University, China and postgraduate training at University of Melbourne, Australia. Over the past two decades, he has worked at several research and clinical laboratories in Australia and the United States of America, with focuses on molecular characterization and virulence determination of microbial pathogens such as ovine footrot bacterium (Dichelobacter nodosus), dermatophyte fungi (Trichophyton, Microsporum and Epidermophyton) and listeriae (Listeria spp. ), as well as development of nucleic acid-based quality assurance models for security sensitive and emerging viral pathogens. He is the author of > 50 original research and review articles in various international journals, the contributor of 165 book chapters, and the editor of "Handbook of Listeria monocytogenes" (2008), "Handbook of Nucleic Acid Purification" (2009), "Molecular Detection of Foodborne Pathogens" (2009), "Molecular Detection of Human Viral Pathogens" (2010), "Molecular Detection of Human Bacterial Pathogens" (2011), "Molecular Detection of Human Fungal Pathogens" (2011), "Molecular Detection of Human Parasitic Pathogens" (2012), "Manual of Security Sensitive Microbes and Toxins" (2014), and "Molecular Detection of Animal Viral Pathogens" (2016), which are published by CRC Press. 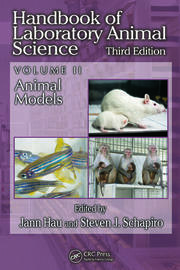 He is also a co-editor for "Molecular Medical Microbiology 2nd edition" (2014), which is released by Elsevier.